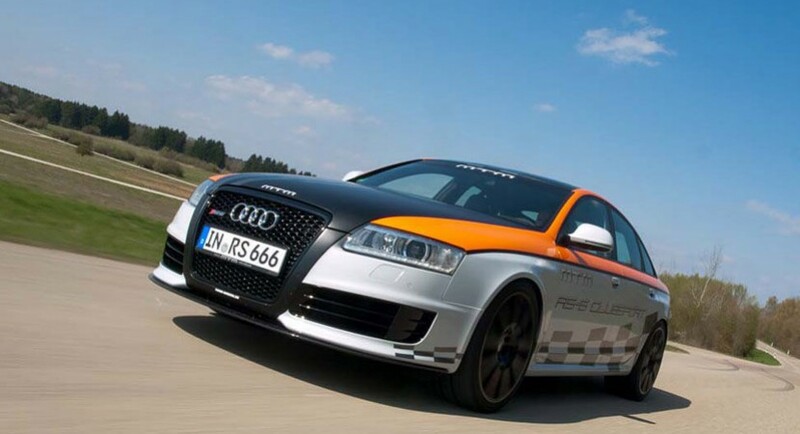 Have you ever considered Audi’s RS6 as being a bit slow? Neither did I but German tuning company MTM think it they can do better. 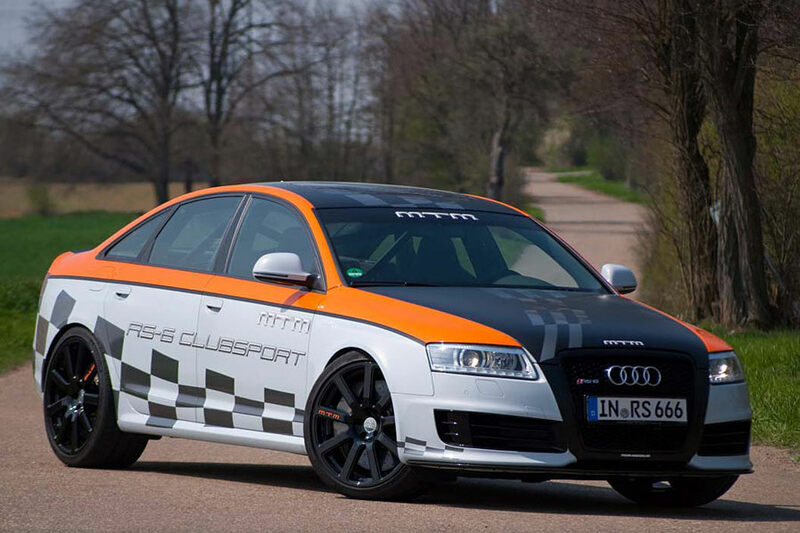 Enter MTM Clubsport package to make it more of everything and give it a properly loud paint job that features three colors and some decals. 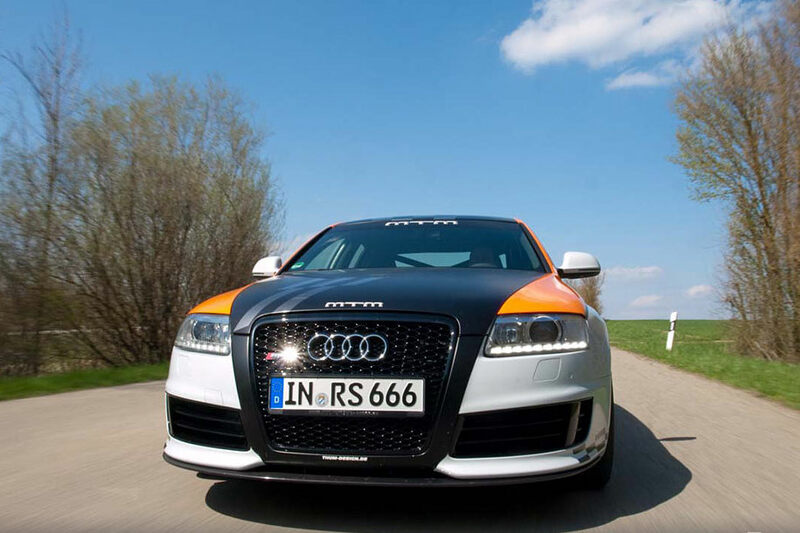 There’s more, of course… The MTM Audi RS6 Clubsport means you’re getting some getting aerodynamic work as there is now a new front lip and rear diffuser in carbon fiber. This is destined to make the car stick better to the road. Also there to help is a new suspension system that features independently adjustable springs, and a new set of 21-inch wheels in black, though i’m guessing the blackness doesn’t help. As far as you’re safety is concern the MTM RS6 Clubsport provides a roll cage and carbon fiber-backed Recaros with six-point harnesses. In case you’re wondering why all this stuff to help the car sit on the road better (even considering the exceptional road holding of the RS6) it’s because the engine has been given some serious steroids. The 5 liter V10 twin-turbo engine now has performance air intakes, a stainless steel exhaust system, it’s ECU has seen tuning and if you add all of these together what you end up with is 730 horsepower and 579 lb-ft of torque. 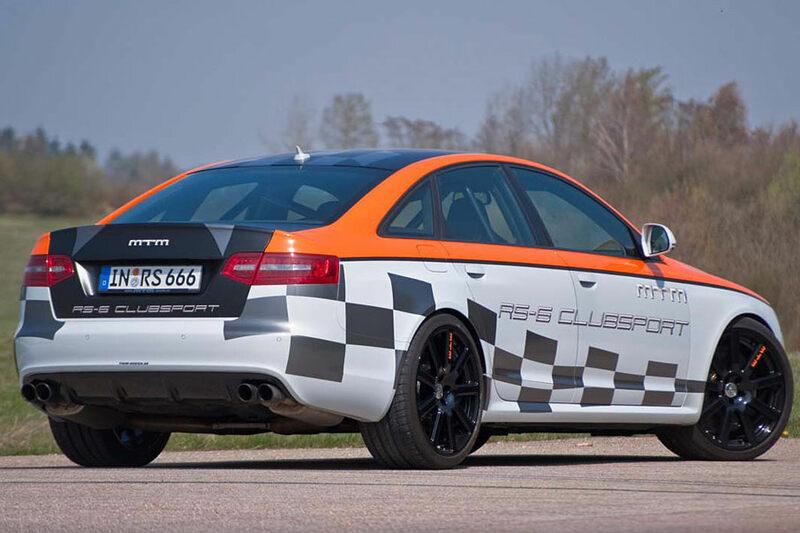 The performance from the MTM Audi RS6 Clubsport is so amazing that you can now get a top speed of 211 mph should you pick the right tires for the job.